Soil Testing to Reduce Agriculture Nutrient Delivery (STRAND) will help farmers make informed decisions about nutrient applications to cropland based on soil testing, which will ultimately help improve the water quality of Lake Erie. (Courtesy of USDA via Flickr). 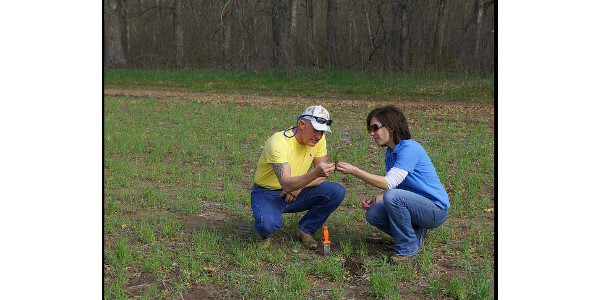 LANSING — The Michigan Department of Agriculture and Rural Development (MDARD) is proud to announce a new program that will provide reimbursement to farmers near the Western Lake Erie Basin (WLEB) who conduct soil testing. Soil Testing to Reduce Agriculture Nutrient Delivery (STRAND) will help farmers make informed decisions about nutrient applications to cropland based on soil testing, which will ultimately help improve the water quality of Lake Erie. To learn about other collaborative efforts to improve and maintain the WLEB’s water quality, visit https://wleb.org/ or https://www.facebook.com/MIClearPartnership. Original Article by Morning Ag Clips.